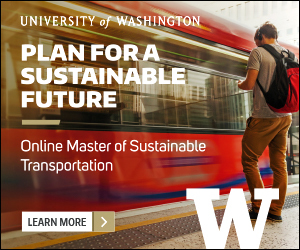 The following interview, as published in the 4th Edition of the Planetizen Guide to Graduate Urban Planning Programs, features Kimberly Lucas, bicycle program specialist for the District Department of Transportation. 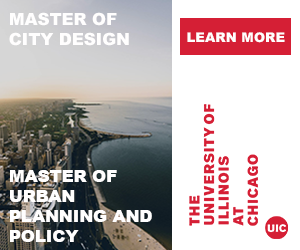 The interview featured here was originally published in the 4th Edition of the Planetizen Guide to Graduate Urban Planning Programs, lightly edited for clarity and readability, to inform potential graduate students of the immense potential of the study and practice of planning. In Kimberly Lucas's case, our interview focused on the expanding and exciting sector of bikeshare given her role managing Capital Bikeshare in the Washington D.C. metropolitan area—one of the largest and most popular bikeshare programs in the country. We hope you'll read this article for lessons in the many shapes a successful career in planning can take. How do you describe your job and role as a planner? What are the goals of your position? I work in the Active Transportation Branch of the District Department of Transportation (DDOT), which oversees transportation demand management, bicycling, pedestrian infrastructure and safety, and a little bit of car sharing. I focus on bikesharing and bike parking. Bike parking is the smaller part of my duties, but I oversee the installation of bike parking citywide. That includes identifying locations, responding to requests, and managing all of the background work with contracts and procurement. The biggest hat I wear is managing the Capital Bikeshare program. Systemwide, we have over 300 stations, and the program currently operates in two states and the District of Columbia. D.C.’s portion is nearly 70 percent of the total number of docks and bikes that are on the road. I manage everything from contracts management, procurement, negotiating agreements with property owners and developers, and a lot of public outreach. I occasionally present to graduate classes as a guest lecturer and at conferences and in the media. It’s like being the face of bikeshare for D.C., so I promote bikesharing as a feasible transit option. But it’s also program management—I pay the bills. What makes the Capital Bikeshare program so popular, and what does it mean for the metropolitan area that the program has been so successful? Capital Bikeshare is not D.C.’s first bikeshare program. The predecessor system, Smart Bike, had about ten stations and 100 bikes. That provided a proof of concept. Capital Bikeshare rolled out in September 2010 with 100 stations and 1,000 bikes, so it was significantly larger. In the over four years that it’s been on the street, in Virginia, Maryland, and D.C., there have been nearly nine million trips, all on less than 3,000 bikes. Capital Bikeshare has more stations than any other bikesharing system in the United States. Studies have shown that there is safety in numbers—the more bikes and pedestrians you have on the street, the safer it is for bikes and pedestrians to be on the streets. Bikesharing has been a way to reintroduce the concept of cycling to the masses. It’s convenient, and it’s incredibly affordable. It’s one of the least expensive modes, if not the least expensive mode, for getting around D.C. The design of D.C. as a fairly compact city with a very dense urban core makes it especially conducive to biking. The availability of other transportation options—such as Metro rail, buses, and on-demand ride services like Taxis, Uber, and Lyft—means that bikesharing provides an additional way for people to get from their homes to Metro stations for longer trips as well as enabling one-way transportation flexibility. Maybe people want to take the bus to work but the weather perks up and they want to bike home. Capital Bikeshare reintroduces the idea of cycling for transit, which has all of the associated positive environmental and health impacts. The population of D.C. is growing, but our streets are not. We need to find great ways to get people around without their cars. Bikeshare is one of those ways. There is a growing number of bikers or city dwellers interested in urban design at the street level. 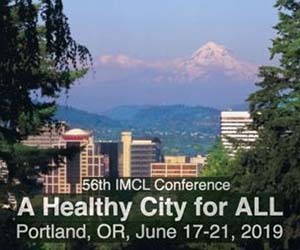 How would you pitch the idea of getting a master’s in planning to people who have realized that they want to have an impact on the way that the streets of their communities are designed? A planning education gives individuals opportunities to take a peak at a lot of the different subjects that planning covers. When you eventually enter your career, you’re likely going to be working in transportation, real estate development, or community planning. But going to school before you start down that path can help you figure out which path you exactly want to go to. That will make you more valuable in whichever path you choose, because you will have a level of awareness of all the other components that contribute to the urban environment. How did your graduate program help you refine the focus of your career? Two parts of grad school led to my current position. First were the hard skills that I gained, such as GIS. That is a marketable skill that you can take with you. My grad program also provided a lot of new opportunities and helped broaden my expertise. I had a lot of bus transit experience from the beginning of my career, and a lot of my research during grad school was on bus transit. But while in grad school I had the opportunity to take an internship with the East Bay Bicycle Coalition, which introduced me to the world of cycling advocacy. Combining my internship experience with a graduate level bicycle and pedestrian planning course meant that I had more exposure to a part of transportation planning that not a lot of people had focused on yet. Learning the theories and all the background information gave me an edge in making decisions about public space, but it also gave me the skills I needed to refine decisions about where I was going to work and also gave me real-world, hands-on bike experience. You’re lucky that you got to move from Northern California to the nation’s capital. If prospective students in planning want to experience different cities and places, how should they approach their graduate studies? I’m not in an entirely unique situation. I’m originally from the East Coast, and part of my impetus for grad school was that I wanted to push myself to try a new city. I figured that if I went and I didn’t like it, I could come back without having my tail between my legs—I would have a graduate degree when I returned. Berkeley happened to be a great opportunity, and I absolutely loved it out there. After I graduated, I applied to jobs exclusively in the Bay Area at first because I loved it, but I eventually broadened my search to include Washington, D.C. because of the healthy market and my family. D.C. is atypical because as the nation’s capital, it has a ton of jobs. Regardless of where you go to grad school, certain markets are going to make more sense to apply to if you’re looking to relocate. There is a home turf advantage in going to school in a place where you ultimately want to work. Local knowledge is very valuable. That being said, having gone to Berkeley means that I have a great network of alumni all over the country—not just in the planning program but from the university in general. I personally work with two people at DDOT that overlapped with my grad school program. That’s crazy, given that there are 30-40 people in the cohort every year and we’re 3,000 miles away from the school. You’ll find somebody from your network in pretty much any major city. 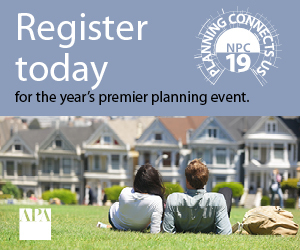 Have you noticed the profession changing since you began your career, and what do you predict for the future of planning in the next ten years? As people move to cities and as we as a country have more interest in moving people without their cars, pedestrian and bicycle planners are in greater demand. This type of planning has not been in the curriculum forever, and not every school offers it. Ten years ago there was one bicycle planner who did everything for DDOT. Now we have a team of seven or eight. As people are returning to cities, there is a lot of interest in planning and urban living in general. In D.C., the population had shrunk, but now it’s grown to over 600,000. With that growth, there are going to be a lot more jobs in planning and transportation. What advice would you offer someone who is considering a graduate program in planning? What I emphasize for anyone going to planning school is that networking is about as important as what you learn in class. Who you know is important. There will be 100 résumés going for a single job, so it’s important to see a familiar face associated with that résumé. Also, get hard skills, whether it is GIS or statistical analysis. Some programs are better at that than others—some are more theory based. Depending on the kind of work you want to do, you should compare those characteristics of the programs you are considering. 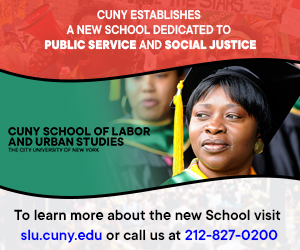 It’s your privilege to tailor any graduate school program to what you want it to be.